Anodizing is an electrolysis-based oxidation process that acts on the surface of the aluminium. It makes the metal harder and enhances its resistance to wear and to corrosion. It also provides a more attractive decorative appearance, all of which forms an integral part of the aluminium without any additional layers needing to be applied. All these finishes can be combined with different machining treatments such as wire brushing, sand blasting, machine and manual polishing. As well as our regular anodized finishes of up to 14 metres such as matt, repolished gloss, etc. we also have a high gloss finish with chemical polishing up to a maximum of three metres. Chemical bright dipping has now replaced the traditional process of chrome plating due to the fact that hexavalent chromium is highly toxic for the environmen. 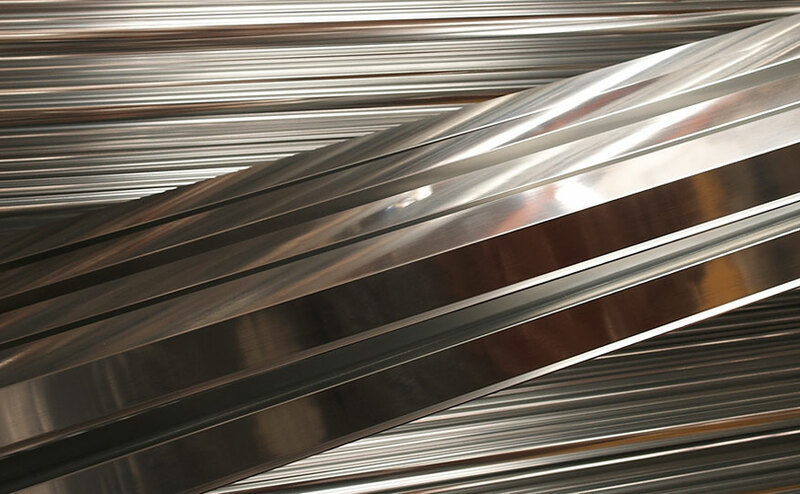 We have a wide range of titanium tools for anodizing metal pieces, trying always to avoid leaving any marks on the visible parts of the pieces or profiles. During anodizing we control all the parameters of each process so as to ensure the correct finish is obtained. We then carry out controls on the anodizing and sealing processes in order to make sure that we conform to the values established in the ISO standards. 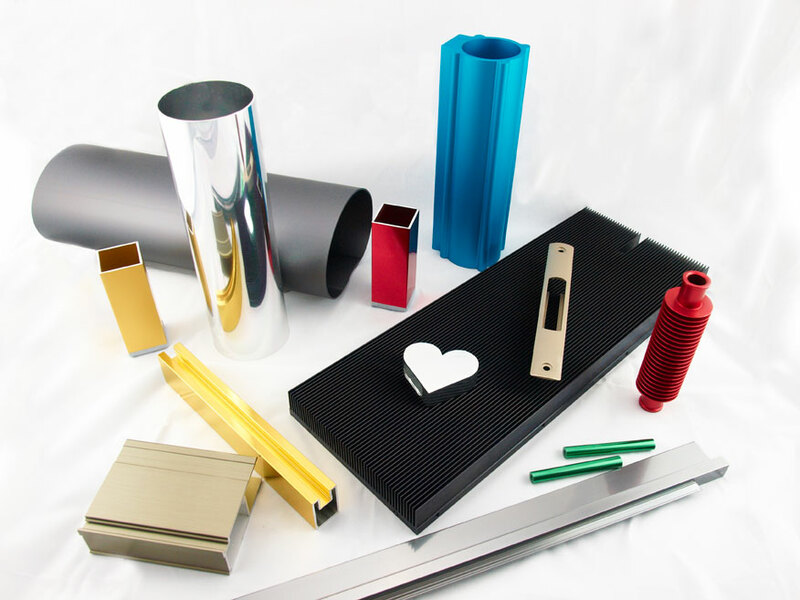 We can offer gloss finish on profiles and pieces of up to 3 metres, and up to fourteen metres for a matt finish. We also have a wide-ranging colour chart.